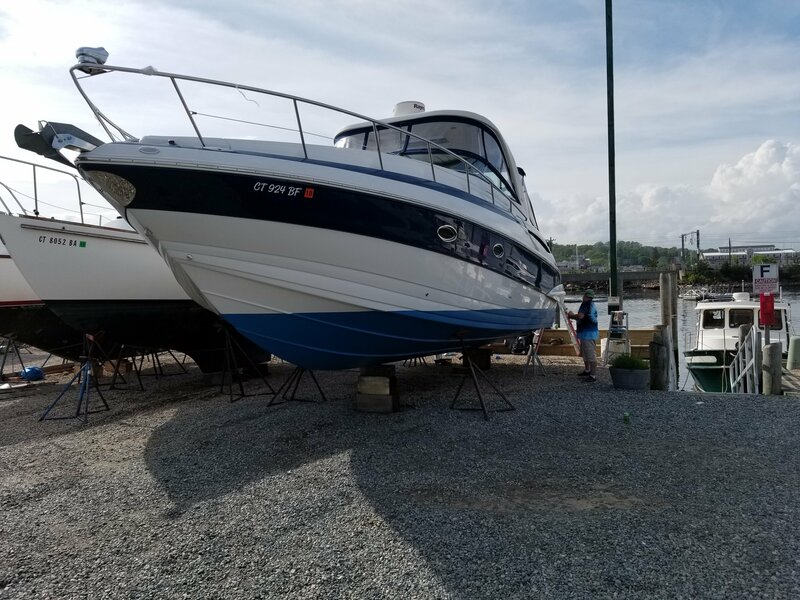 2008 Crownline 340 CR Cruiser Beautiful 2008 Crownline 340 CR (36 LOA/12' Beam) with twin Mercruiser 496 Mag MPI Engines and Bravo III Drives with Digital Throttle & Shift with system. Fiberglass Hard Top with ventilation hatch, lights and speakers, Aft U-Wrap cockpit seating, portside lounge, Camper Canvas and boat cover, Teak Inlays, Windlass Anchor w/rope and chain, (controls at helm and foredeck), Cockpit Refrigerator, Remote Spotlight, Depth Sounder with outside air and water temperature read outs, Trim Tabs, Premium Alpine Sound System - CD/DVD combo, 52 watts per channel, 6 disc CD changer, amplifier, 8 speakers with speaker controls throughout the boat, XM & Sirius satellite ready & auxiliary input for I-Pod/MPS players, Wood grain dash accents and full wood wheel, Hand held freshwater transom shower (hot and cold), Cockpit carpet and a complete safety package to include (Dock lines, flares, life vests, fire extinguishers). Cabin has (2)Flatscreen TV, Cockpit Smart TV, AC Electric flattop stove w/two burners, Stainless Steel Microwave, Carpet with wood floor accents, Custom counter tops w/black splash, Custom cabinets w/cherry wood finish, Solid Wood Table, Shower with teak wood seat, Vacu-flush head w/tank level indicator. . Very clean boat with Twin 496 MAG MPI 8.1L MerCruiser engines with Bravo three stern drives and a Kohler generator. Many extras include a hardtop, hardwood cabin flooring, teak top swim platform, cockpit cover cockpit refrigerator, radar and much more. Seller is moving and all of the safety gear, fenders and dock lines. 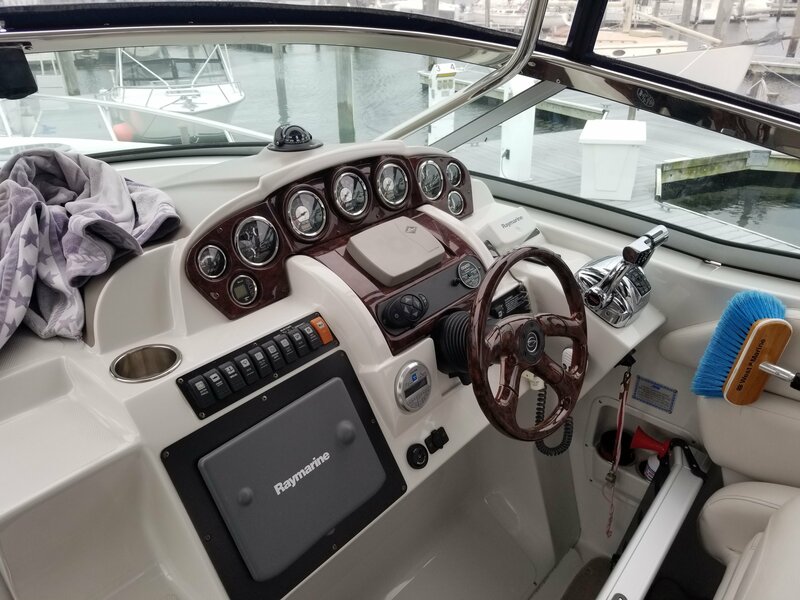 The boat has been professional maintained by a knowledgeable captain with recent drive service, bottom paint and anodes and is ready for summer fun.